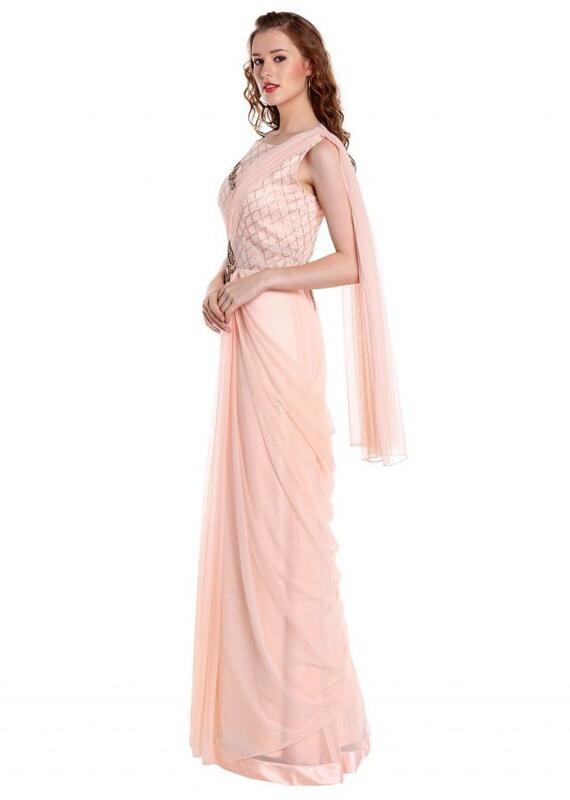 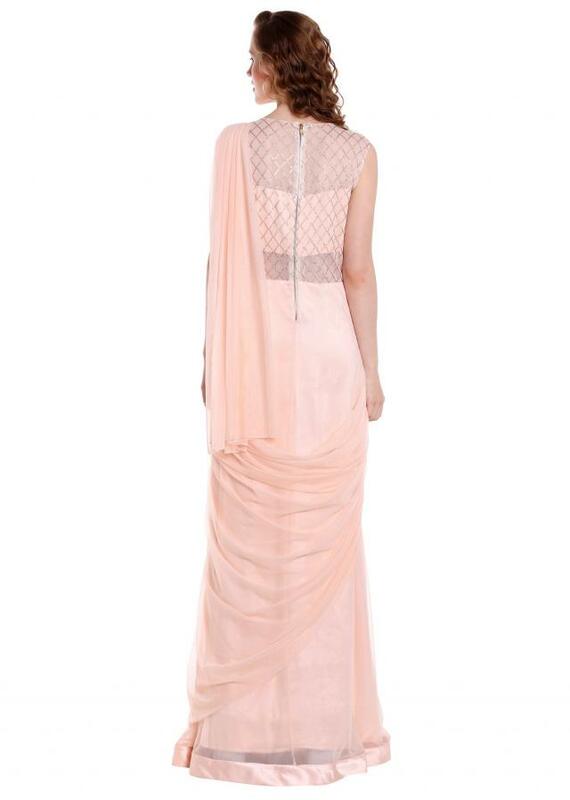 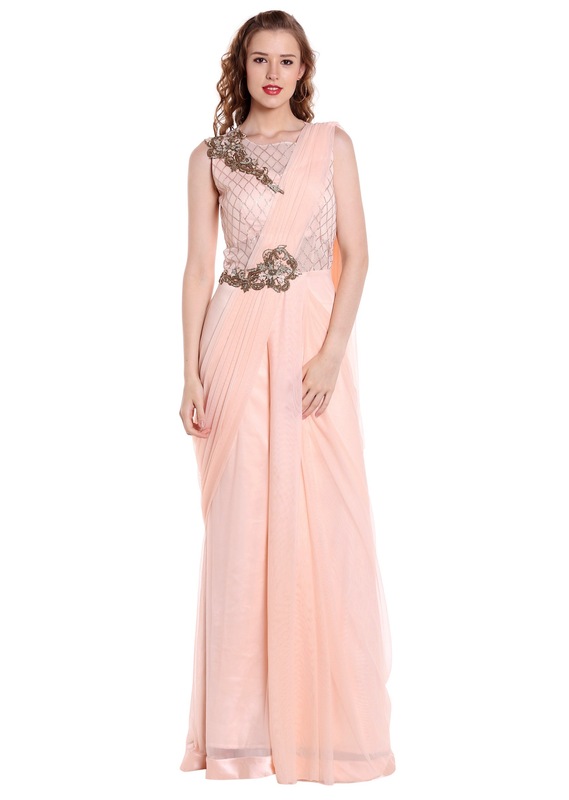 Grace parties and weddings with the delicate beauty of this cream pink saree gown. 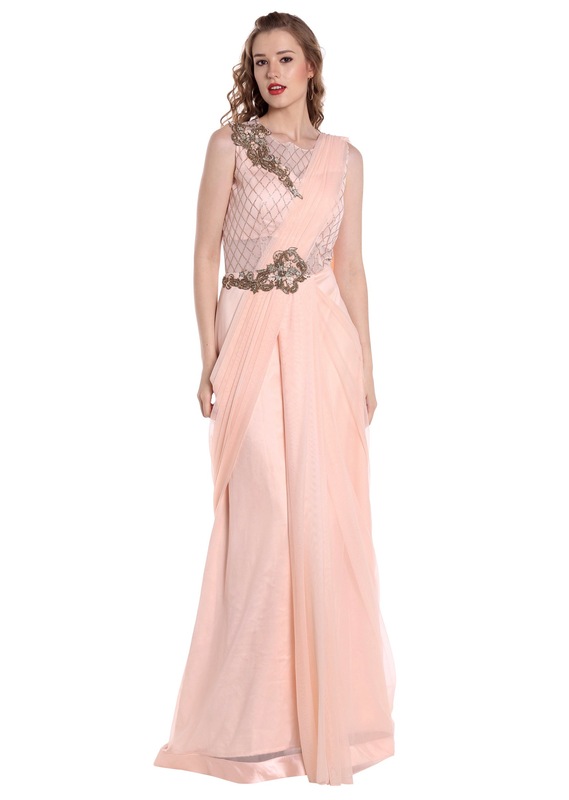 The net and georgette apparel features a stitched pallav and a sequin embellished bodice. 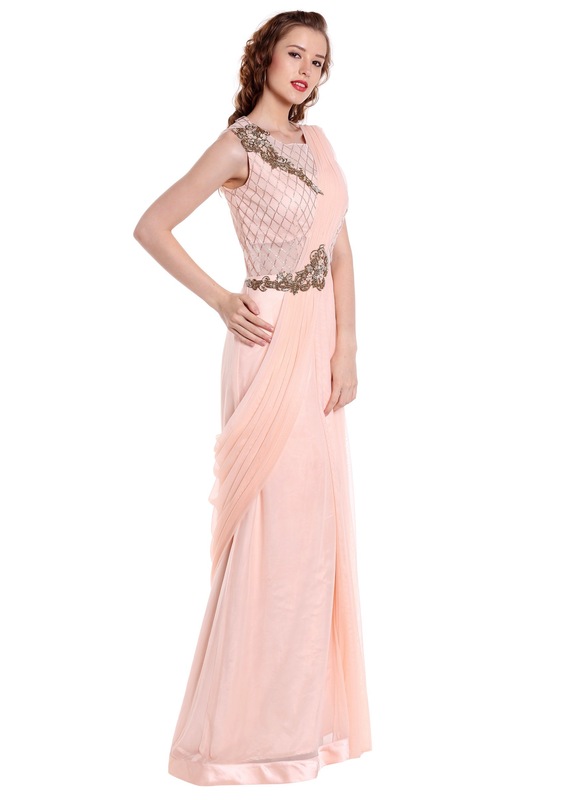 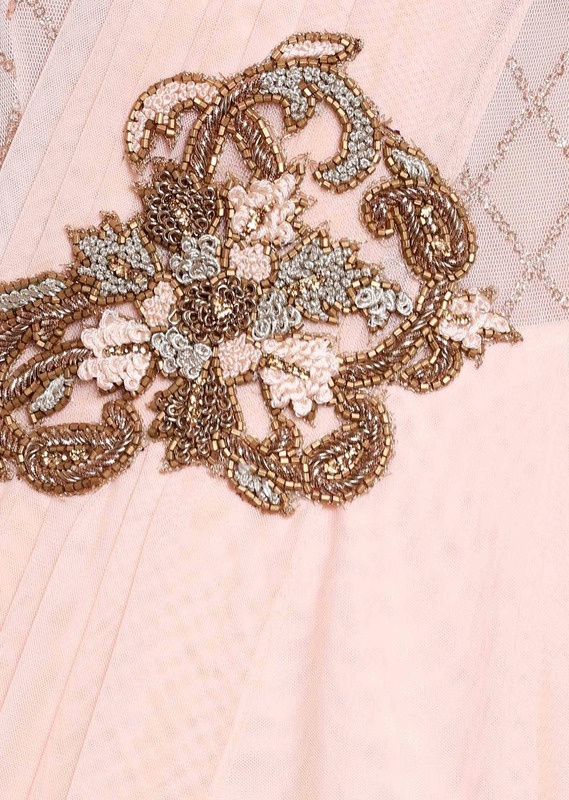 The pleats and one of the shoulders are crafted with elaborate floral patterns done in resham and zari.